Richard Caldicott is a British artist who explores mainly photography by creating abstract compositions. Caldicott was born in 1962 in Leicester, England. In 1987 he earned a master degree from Royal College of Art. Later on, Richard Caldicott perfected his art education at Middlesex Polytechnic, BA and Loughborough College of Art & Design. 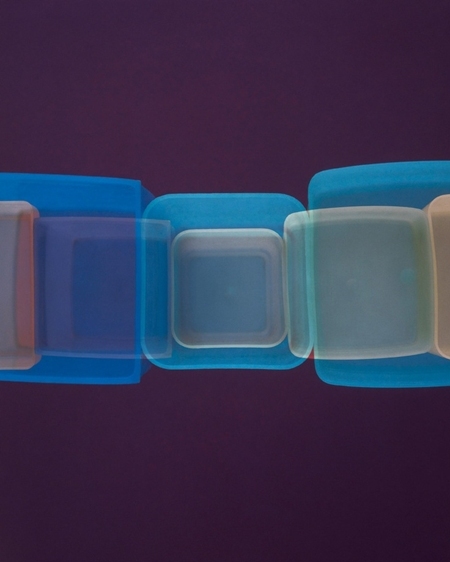 Caldicott’s abstract compositions of colors and geometric forms are widely known as a completely new and fresh use of mundane consumer products such as Tupperware, for example. Even though his exquisite photographic images could be considered ironic, Caldicott dictates to beholders’ eye one pretty much refined aesthetics. His photographs have been compared to the Color Field paintings of the Abstract Expressionists Mark Rothko and Barnett Newman. At the end of the 1990s, Caldicott created a series of Tupperware containers as large scale semi-abstract still lives – cheeky and humorous as they were obviously creative transformations of something that was very cheap. 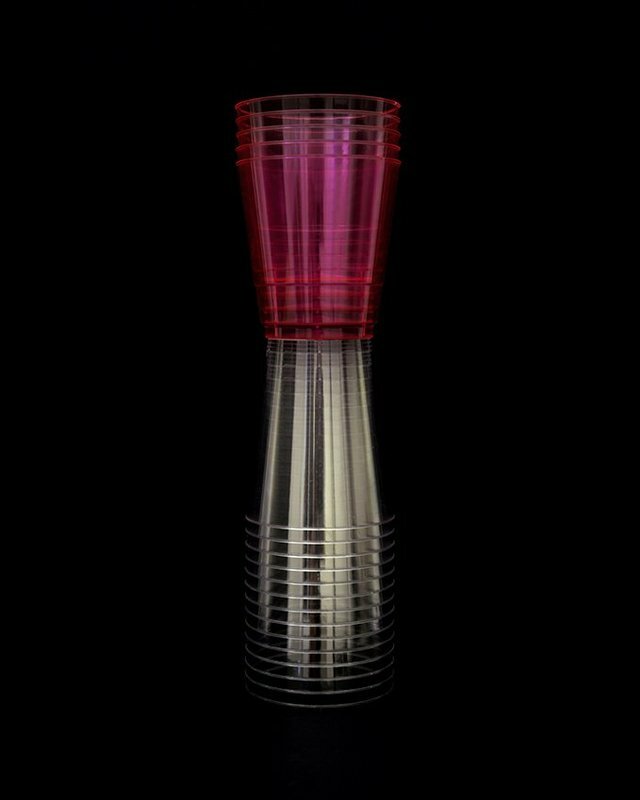 Piling vibrantly colored plastic cups and bowls, he created abstract formations that were like eye-popping op-art paintings. After that, he explored collage, taking source material derived from various modernist tropes and situations, until a strange new geometry emerged from the mix. 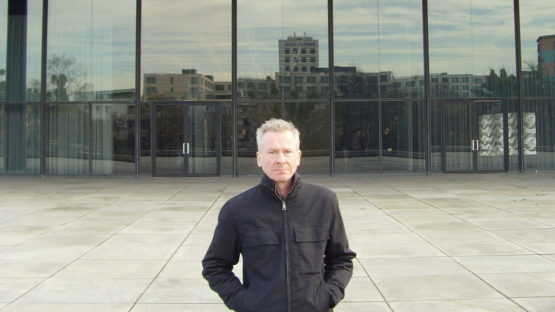 In 2008, his exhibition titled Untitled 2008, opened London’s Hamiltons gallery. With this series, once again Caldicott placed unusual objects at the centre of the frame. His concern is very often simply the metamorphosis of the everyday, which for him has something almost alchemical about it. Regarding this metamorphosis and photography, he went even further by chemically transforming his constructions into two-dimensional pictures at the touch of a button – aiming for a kind of transmutation of the functionality of everyday objects as done in his Constructions series. The curiosity of this collection was that the artist himself has been making the object photographed – Cadicott created collages and assemblages, and then photographed them multiple times. 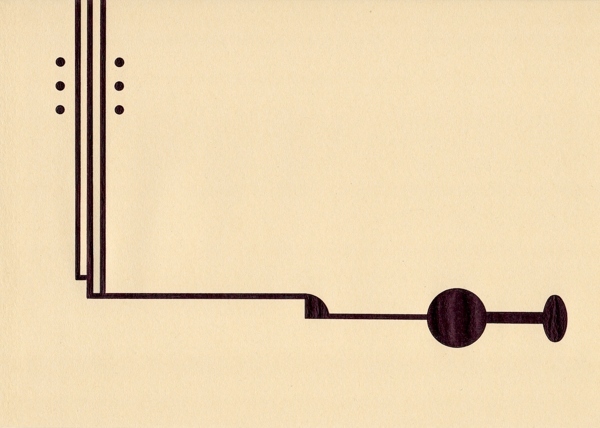 Richard Caldicott’s work has a relationship with architectural and musical structures, formalism and geometry. In 2014, he collaborated with Darius Ciuta, a Lithuanian artist from a quiet music field that deals with micro sound, where focus is on the tiny, elusive note. Ciuta recorded snowflakes falling on paper and sent it to Caldicott who used that paper to produce a graphic image. 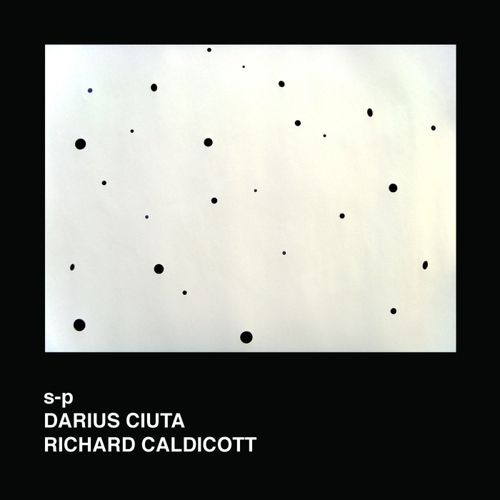 After that, Darius used Richard’s work as the graphic notation to compose a digital album titled S-P, from a recording of snowflakes falling. The album was published by Very Quiet Records, a small independent label with a simple idea: they release recordings of quiet places or situations from sound artists and field recordists from around the world. In 2015, Caldicott presented his new works at the collective exhibition which explores contemporary abstract art-making practices. The show is held at 886 Geary Gallery in San Francisco. Titled Shapeshifters & Sharpshooters, this exhibition features 15 international artists and is guest-curated by Sven Davis, independent curator and art critic from the UK. Shapeshifters & Sharpshooters is a sort of celebration of contemporary mark making, while embracing traditional art movements such as Futurism, Abstract Expressionism and Precisionism amongst others. A common thing for the whole group is their use of Hard-Edge painting; where abrupt transitions are found between color areas. This kind of painting style is related to Geometric abstraction, Op Art, Post-painterly Abstraction, and Color Field painting. 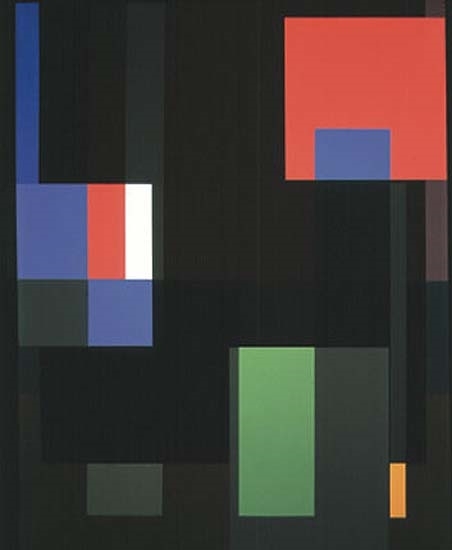 Richard Caldicott’s work has been acquired in several significant public and private collections, including the Peter C. Ruppert Collection; Museum im Kulturspeicher, Germany; Goss-Michael Foundation, Dallas, TX; Goldman Sachs International, London; Kunstmuseum Bonn, Germany; Sir Elton John Collection, Los Angeles / London; Gert Elfering Collection, Miami; Karl Blossfeldt / Albert Renger-Patzch Collection / Ann and Jürgen Wilde, Köln; and Fidelity Worldwide Investment, London, among others. His work has been exhibited extensively in solo and group shows, as well as several art fairs, including Art Basel, Photo Miami, Paris Photo, FIAC, The AIPAD Photography Show, and the Venice Biennale. Since March 2015, he has been represented by IdeelArt. 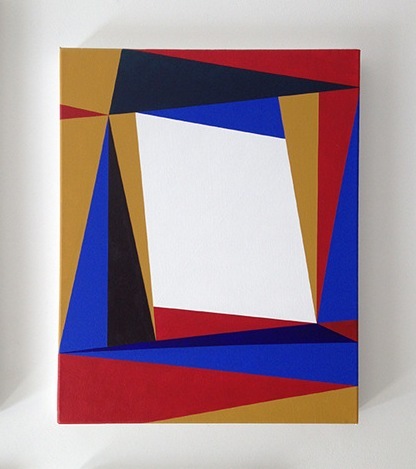 Richard Caldicott lives and works in London, UK.